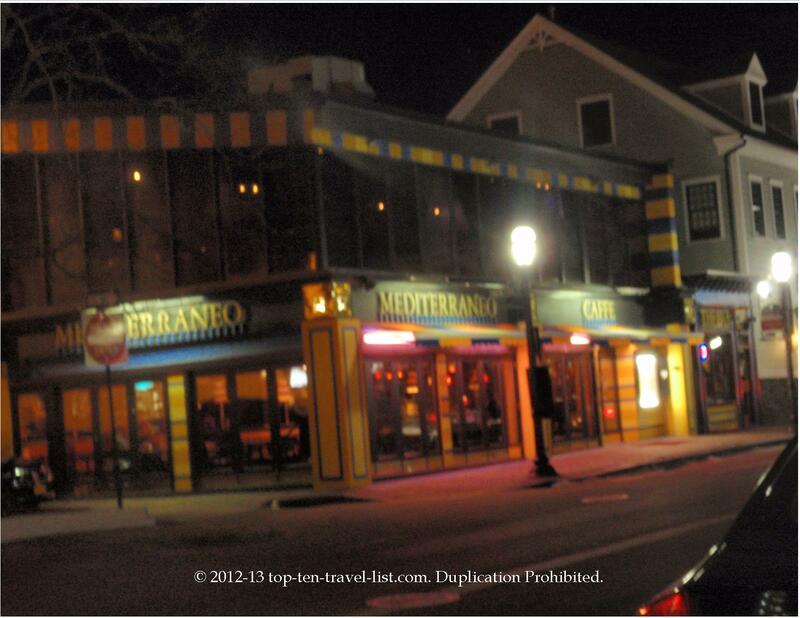 Mediterraneo Caffe - Providence, Rhode Island - Top Ten Travel Blog | Our experiences traveling throughout the US. Mediterraneo Caffe is an Italian restaurant in the Federal Hill area of Providence, Rhode Island. 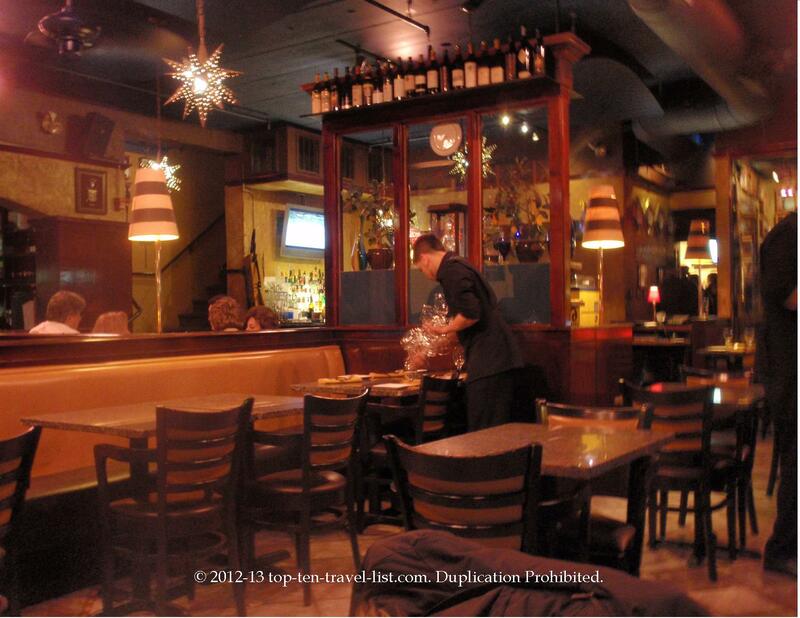 The restaurant is located on Atwells Avenue, which is home to numerous Italian restaurants. After being out in Providence shopping, we decided to stop in this restaurant since Providence is known for great Italian food. This restaurant features more of a contemporary look with modern design, contemporary cuisine, and trendy music. It is not the place to go if you are looking for an old style Italian dinner, but more of a trendy night out in a stylish, modern environment. The menu was very expensive. Pasta dishes started out at $18 and only went up from there. I ordered Fettuccine Alfredo which was priced at $19 (normally $17.95 but they charged $1 extra for whole grain noodles). Mike ordered the Gnocchi Alla Sorrentina ($17), which was a dish consisting of potato dumplings in a tomato basil cheese sauce. The food wasn’t bad but $20 for a basic plate of pasta is really overpriced! The service, food, and atmosphere were all pretty average. I did however enjoy the modern twist. 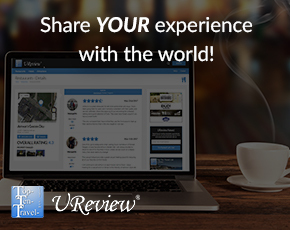 Great for a fun date night out on the town and definitely different than most Italian restaurants I have visited.